SKODA’s Octavia sets new standards in the compact segment and reaffirms its unique position in this class. The Octavia Estate offers unrivalled space, functionality, innovative safety and comfort systems, fuel efficiency, and many ‘Simply Clever’ ideas at exceptional value for money. 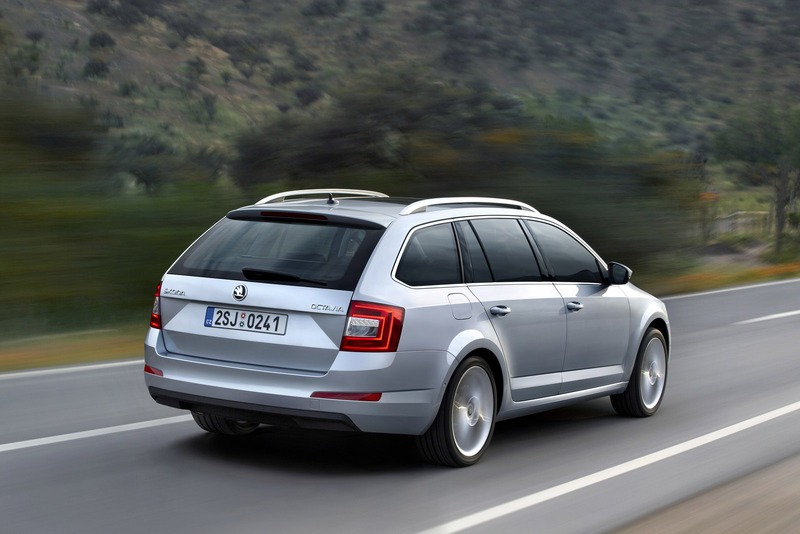 The new ŠKODA Octavia Estate has grown significantly, boasting a dynamic and elegant design. ŠKODA Chief Designer, Jozef Kabaň, and his team have redesigned the car from head to toe. Never before has a ŠKODA Octavia Estate been so dynamic and yet timelessly elegant, distinctive, sophisticated and confident on the road as the third generation of this best seller. An outstanding amount of space, fuel efficiency, innovative safety and comfort systems as well as many ‘Simply Clever’ ideas make up the ŠKODA genes that set it apart from its competitors. 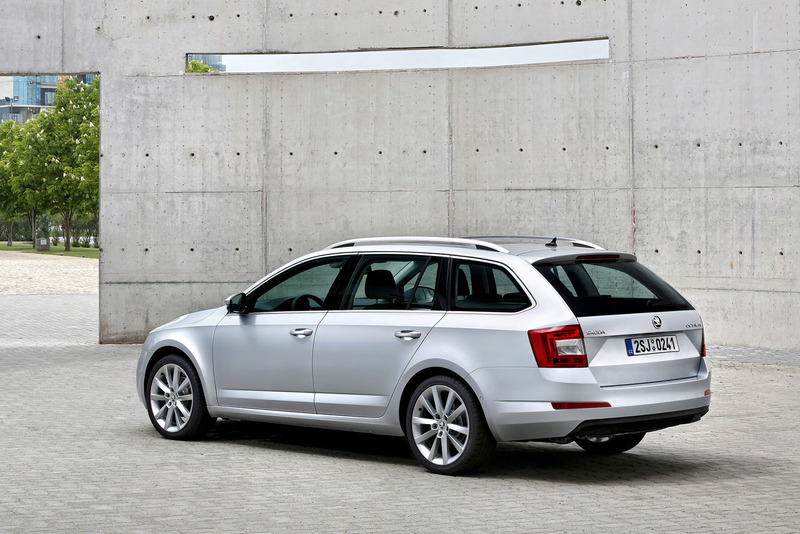 The new ŠKODA Octavia Estate is 90 mm longer and 45 mm wider than its predecessor. The wheelbase has grown by almost 11 cm, resulting in record room and space. “Our ŠKODA Octavia Estate offers rear-seat passengers lots of legroom – 73 mm in front of the knees – the highest in its segment. And at 610 litres, the size of the boot sets a new record for its class,” said Dr. Frank Welsch, Škoda Board Member for Technical Development. By folding the rear backrests down, the boot space of the Estate increases to an impressive 1,740 litres. There are also numerous ‘Simply Clever’ details shared with the Octavia Hatch, including, double-sided boot floor mat, the comprehensive net restraint system, multiple bag hooks, a waste bin and numerous bottle holders, multimedia device holders, an ice scraper in the fuel tank opening and a warning-vest holder under the driver’s seat. In addition, the new Estate offers a host of smart solutions which make life easier, including a coat rack and a remote fold-down function for the rear-seat backrest. The folding passenger seat makes transporting long objects easy. There is space for a luggage compartment retractable parcel shelf and roof bars under the adjustable and retractable variable boot floor. The design of the Octavia Estate is the epitome of clarity, precision and perfect proportions. “The new Škoda Octavia Estate is the perfect combination of form and function,” said Dr. Welsch. The front view is identical to the new Hatch. The clearly structured side view of the new ŠKODA Octavia Estate works through a dynamically flowing silhouette. Additionally, the closed, clear-cut side graphic is distinctively emphasised by the high Tornado line. The roofline of the Estate slopes gently towards the rear and passes elegantly over into the D-pillar. The rear lights extend far into the side rear section and are the final points of the tornado line. The rear is also clearly and precisely designed. The new Octavia Estate is instantly recognisable as a ŠKODA from the back view because of the C-shaped taillights as well as the characteristic triangular elements in the tailgate. Just like the Hatch, the ŠKODA Octavia Estate has two C-shaped light strips in each taillight which enhance the graphical impact. There are modern safety assistants available upon request onboard the new ŠKODA Octavia Estate such as the Automatic Post-Collision Brake, Front Assistant with City Emergency Braking Function, the Driver Activity Assistant (fatigue detection), the Crew Protection Assistant or the Lane Assistant to keep you inside the lanes. If an accident does occur, a comprehensive passive safety package ensures the best possible protection of the driver and passengers, including up to nine airbags. The new Octavia Estate has numerous electronic comfort systems that have so far only been seen in higher class cars. These include the new Adaptive Cruise Control, an automatic distance control, and the Intelligent Light Assistant, a high-beam assistant. There is also a range of completely new generation radio and radio-navigation systems. The newly developed engines of the third-generationŠKODA Octavia Estate are up to 17% more economical than the previous generation engines. In the UK, two petrol and two diesels are available. A fuel efficient GreenLine version will reach a consumption of only 83.1mpg and CO2 emissions of only 89 g/km. Also to be seen first at the 2013 Geneva Motor show is the ŠKODA Octavia Estate 4×4 with a newly developed all-wheel drive and fifth-generation Haldex clutch.